A travel App which can help the users plan their trip based on their current location and the destinations that they are willing to cover. All you need is to upload the various data points into the data source and enable the search engine for querying. An App which can provide the user with the destinations distanced within N KMs from his current location. Motels, Restaurants, Hospitals etc. Games where user’s location would add value, chat rooms based on geographies, news tail-made for specific geographic locations and so on. Though this feature will let you create a standalone App based on it, various other features can be integrated with this to create mind-blowing Apps. You can use Push Notifications along with this to send updates to users belonging to a particular region. Using social connect feature to send updates to your buddy list based on their locations. You can even create complex Apps like finding the time required for travelling from your home to office. You need to get the traffic updates from a different source and integrate it with your Geospatial feature. Make it fancier by integrating weather conditions and other related information. You need to add two major components. 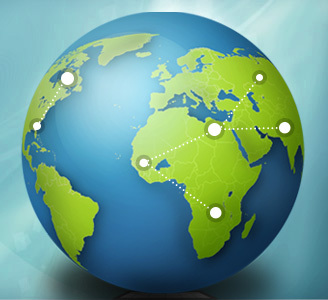 One is to create a data source for the various geographical points that will be used in your App. The second component would be to create a search engine to find the data source for the given geo input. You can create a data source using various GIS databases like Postgres, MongoDB etc. and make it accessible to your App. You might also require HTTP and admin interfaces over it to populate/create data points. You might have to consider scalability, security, data backup and other infrastructural issues. But there are various Backend Service Providers who provide APIs to take care of all these technicalities. This lets you concentrate solely on your business logic. You can let your imaginations go wild with this feature. With all the intrinsic functions that the service providers give, you can create almost anything!